Look at these kids! They are excited because someone is bringing an amazing innovation to their village! …the water was brought to their village by merchants on bicycles and it’s expensive! by providing affordable clean water and renewable energy to these kids! and unloaded the box on at the local school. We also brought a big water tank to make sure we’ll never run out of water! The box looks nice and settled here. All we need is sun and stable soil! We immediately began installation, and made sure to involve women during this phase. In just a few hours we were finished! 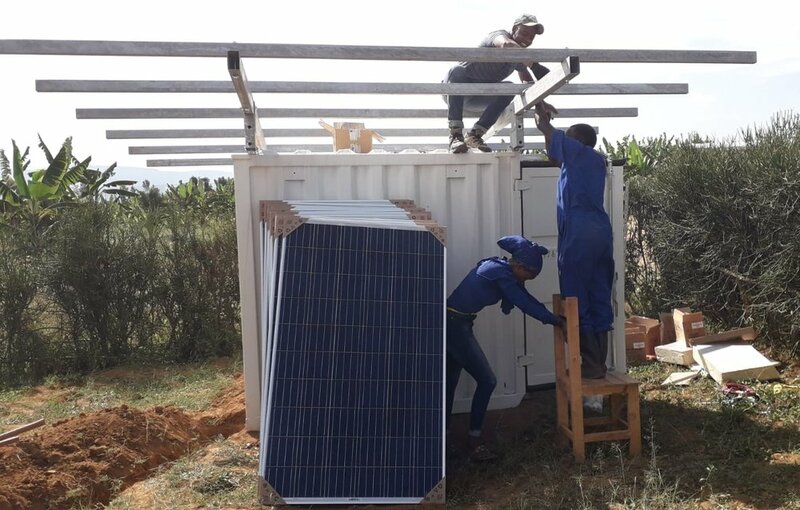 We switched on the unit and started giving free wifi to the school, purified water to the kids, and solar power to their families. Our COO Davide locally tested the system with a remote monitor interface through the Wi-Fi straight from the box. Benoit, our local implementing partner double checked the unit that he will run for 20 years! Then a water truck came to provide steady flow into the box because it’s dry season and there was no water! 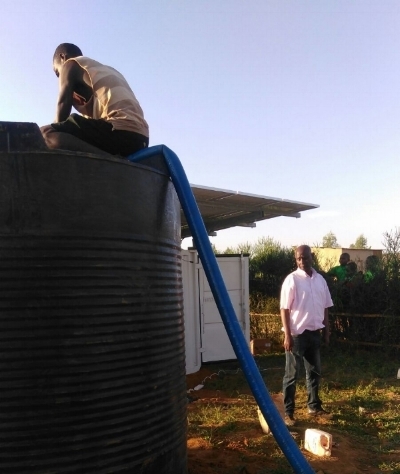 We can use rainwater, boreholes, ponds, and rivers to fill the tank. The new community hub is ready! 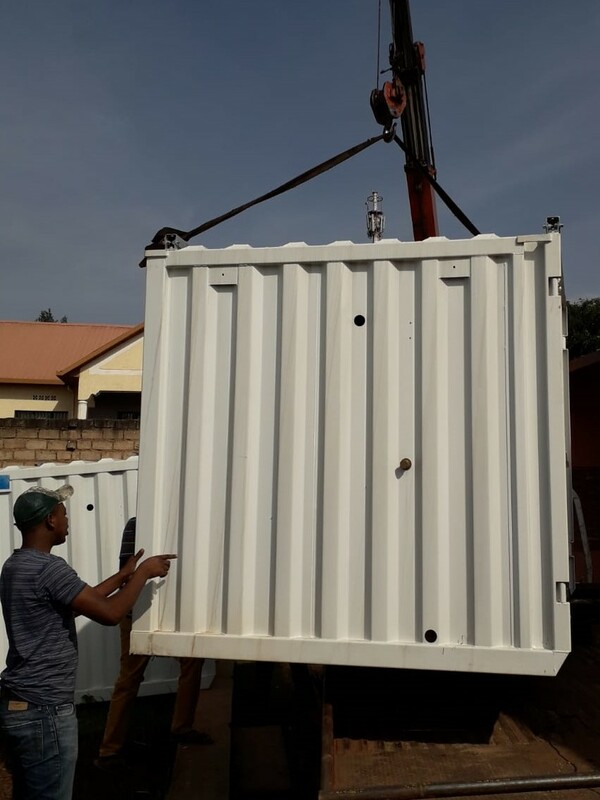 The box provides affordable purified water, solar power and WiFi. Not only did it empower women with new jobs, brought smiles to faces, but will bring health benefits with clean water! By the end of the day, the box is safe, locked, and ready to serve. The very next morning our women box managers were trained to run the box. The box was so quick and easy to set up that as a matter of fact by the end of the afternoon we were ready to depart. 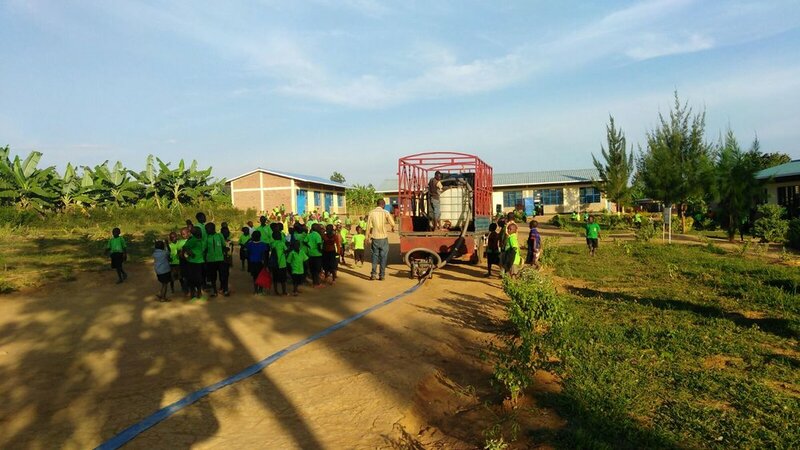 Even though we are tired from a long day of hard work, it was easily overpowered by the happiness on the children’s faces as they saw their first drop of clean water. Interested in getting a box? Curious about other box applications?